For Said Musa, being publicly exposed as a Christian condemned him to death row. Yet his testimony of faith, spread throughout the world, may have also helped secure his liberation. As we reported on the S+L Blog and Perspectives, Musa worked for the Red Cross in Afghanistan when, due to a local television report, he was outed as a Christian convert. He was consequently convicted for apostasy, which carries the death penalty. As reports circulated that Musa’s execution was imminent, Archbishop Brendan O’Brien (writing on behalf of the Canadian bishops’ Human Rights Committee) urged Canada’s Minister of Foreign Affairs to intervene. 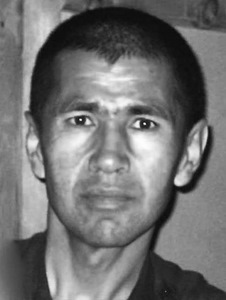 A spokesperson declared that Canada had raised its concern about Musa’s case with the Afghan government. The statement reiterated Canada’s insistence that Afghanistan uphold religious freedom. Now an organization working on Musa’s behalf reports that he has been released. The International Christian Concern credits “aggressive international diplomacy” that included prison visits by representatives of the Italian and American embassies. “It has been encouraging to see the international community, including churches, reporters and government officials in Europe and North America, work together for the common goal of freeing Said,” says Aidan Clay, an ICC representative. Citing a letter from Musa written before his release, Clay says that Musa declined an earlier offer to be freed on the condition that he renounce his faith. The ICC’s source claims that he is now safely out of the country. The New York Times confirmed Musa’s release with the director of the prison where he was held. A senior prosecutor involved with the case told the NYT that, ultimately, Musa told the high court that he regretted converting to Christianity and wished to return to Islam. Whether or not Musa actually made such an admission, the appearance of one might appease those within the government who demanded his execution. The courts could have justified his release because, as CNN reports, apostasy is not a criminal act in the Afghan constitution. In such cases, the judge then turns to sharia law, where he has “an open hand” in determining the verdict. Musa’s wife, who fled to Pakistan with their children, says that she has yet to hear from her husband. She speculates that he may have taken refuge in a foreign embassy. Christianity Today is asking why Musa’s case was able to generate media attention, while other similar cases have not. One of the reasons listed was Musa’s heroic testimony of faith. His emotional appeal, handwritten from prison in imperfect English, may have elicited just enough of an international outcry to prompt his release.